Church of the Ascension, Dartmouth Row, London SE10 8BF (10 minutes walk up Lewisham Hill from Lewisham National Rail and DLR Station). 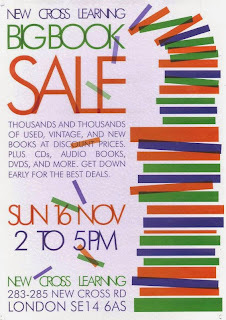 Meanwhile New Cross Learning are having a Big Book Sale tomorrow from 2 to 5 pm. 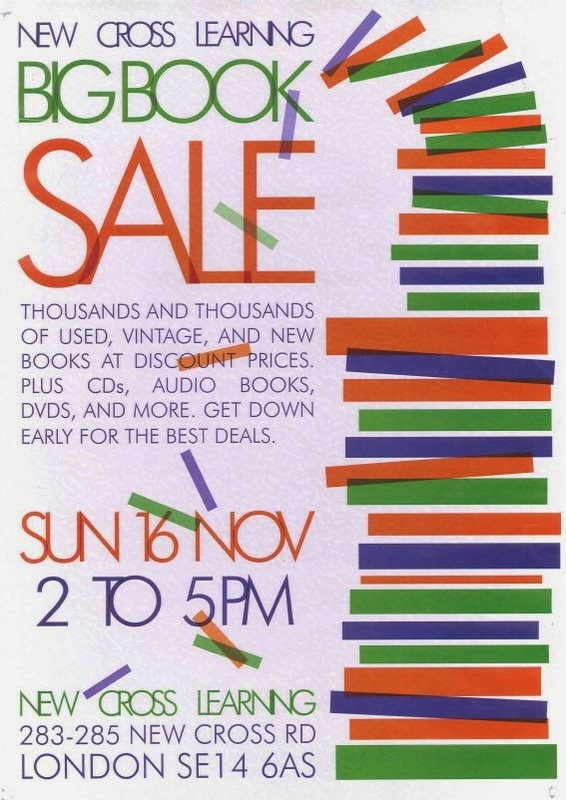 They promise: 'Thousands of books from 30p! Second hand, vintage, antique and new. Also CDs and DVDs. Come to NXL on Sunday 16th November and go home richer'. At 282 New Cross Road.